Desserts have healing effect on our souls. Exquisite and artistic desserts not only satisfy our palate but also bring pleasure to our sight and soul. 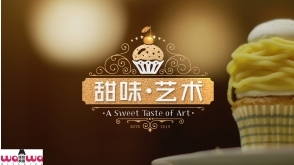 “A Sweet Taste of Art” will feature desserts in an artistic perspective and take a look at a country’s local culture and aesthetics through desserts. Johnny is a lazy, sloppy and irresponsible insurance agent. His girlfriend Sammi is a bomb disposal expert who compels him to marry her every day. Johnny however, dodges her pressure as he feels uncertain about his future. Tommy is the son of the Chairman of an insurance company. His father has arranged for him to take over the company and so Tommy becomes Johnny’s boss. The arrogant Tommy despises Johnny and tries all means to make him feel wretched every day. Johnny and Tommy accidentally discovered a bomb in the company, and were forced to hold on to the bomb together. Sammi failed to disassemble the bomb and the three were seriously injured in the explosion. After they woke up from their coma, the three found themselves with superpowers. Johnny is able to see the future by hugging the person; Tommy can tell the past by touching foreheads with the other party; Sammi is able to read a person’s current thought by kissing any part of the body. In their effort to trace the bomb culprit, Johnny and Tommy rescued Sammi from frequent assassinations during their chase, and discovered a conspiracy behind the bomb incident. Johnny, Tommy and Sammi are soon to face another dreadful devastation..
Art originates from our daily life! 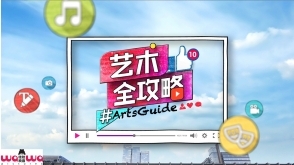 Viewers can see artists using their expertise to tell stories and also understand the different arts scene and local arts culture through different segments of each episode. Let’s see how the hosts display their creativity and get involved in many art creations. 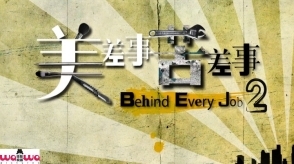 “Behind Every Job 2”is back again to showcase the 2 hosts working on what most people perceive as glamorous jobs and dirty jobs. The new series of “Behind Every Job 2” will feature different personnel from different industries. We will take a look at how they dutifully carry out their jobs and contribute to the nation building, how they maintain the enthusiasm in their jobs as well as the coerciveness among the co-workers. 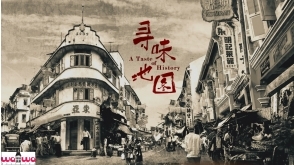 Besides understanding the different trades and their top achievers, there is also an underlying message to the viewers who keep complaining about their work, their salary and their working environment. 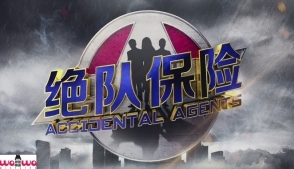 In every episode, both messengers will each take up a glamorous and a dirty job together with the relevant professionals. The show will reveal the best and the worst parts behind jobs which most people would dream of or detest.